-Labour predictably did badly in Scotland, where they still haven’t recovered since 2014. -Labour, under Corbyn, did slightly better in England than Miliband did AT HIS HIGHEST POINT. Now consider that 2015 was his lowest, and he still would probably have stopped a tory majority if it wasn’t for them breaking the rules on spending. Hardly a disaster for Corbyn? Khan has won the first round by 44% to 35%, and is clearly on course to win very comfortably on the second. Given that the two main parties are fairly close to level in the polls, and even more so in Projected National Share, I’d say that a 12-15% lead for Labour is probably par for the course now in an even year. It’s quite a change from the times when London was almost a microcosm for GB as a whole, as it was for much of the 20th Century. However, it’s also clear that there are still strong Tory areas, and countervailing trends in places. Can anyone find the Mayoral results by GLA seat? The BBC have stopped providing this. Labour lost 88 seats in 1998 under Blair – as opposed to gaining 1,807. Using Foot, Kinnock and Miliband as precedents is problematic. Look what happened at the GEs they all contested. I’m NOT saying that Corbyn will win in 2020 (it’s further than ever! ), just that using local election results as a predictor of the general election is very faulty. This is the point being made constantly in the news, as if Corbyn making Foot’s type of gains in 1981 would’ve meant he was in contention in key Parliamentary constituencies. In 2012 and 2014, Labour took back control of Harlow and Crawley respectively. In the general, Ed made no difference whatsoever. A lot of nonsense is spoken about past comparisons. 2011, 2012 and 2015 depending on which set of results it is. But saying a party has to gain 1,000 seats on a completely different round than a party in 1981 (when the base is 1977) is obviously not like with like. I am actually a bit disappointed with the C results. Not because they are disastrous, but because I think at the start of the year we had an opportunity to do genuinely well ( a bit like 2011). This year has been a bit of a draw. The big plus from a C point of view is Scotland. Comparisons with past gain/losses are flawed, for several reasons. First, because they are clearly influenced to a large extent by what went before (1981 was bouncing back from the 1977 locals, when the Tories led by 15 points; this time the comparison was with a round where Labour had a clear lead). Second, because there are less councillors now than was once the case so it is harder to make such monumental numbers of gains/losses. Third, different numbers and combinations of seats are being contested each year and the potential for gains is clearly influenced by that. So whilst I’m no natural defender of Corbyn I don’t think it would be fair to hang him for failing to match Foot and Miliband’s initial gain counts. The projected national share comparison is more useful. 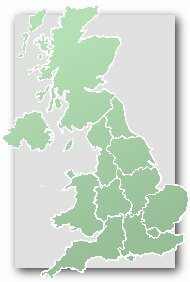 History suggests that strong leads on that are a necessary though not sufficient condition for getting into government, and that ultimately successful opposition leaders (only Blair and Cameron since the measure began in 1982) have pulled out a big lead in the first year they’ve contested locals. Was the Tory lead 15% in 1977. Looking through the results it does look like the most enormous landslide? I had thought it looked like a 50%+ vote to Labour in the low 30s but perhaps Jack has a projected vote? I am going by opinion polls from around the time (I’m not sure they did projections then?). It may well have been an even greater margin on the night. LANCS OBSERVER – the “after a year”stat is arbitrary and misleading. Corbyn has faced an onslaught which no other political leader has ever had from the press. He has suffered open attacks from his own side. He has come in shortly after a labour collapse in Scotland, which is probably the biggest real shift in British politics since the 1920s. The result isn’t great for him, but it isn’t bad either. I genuinely believe Labour’s best chance in 2020 is to hold on to Corbyn, and hope his personal qualities win through. Your estimate may well have been right, it’s just that I’ve never been able to find one and was intrigued. I did see a projection of Tories at 48pc in 1976. Given there was clearly a further swing from 1976>77 I think they could have nudged past 50. Labour probably did still manage nearly 35pc but had a terrible night on seats (as did the Libs). But they also need some of the MPs who are in open revolt, like John Mann & Michael Dugher, to shut up (or be shut up by deselection). If they ditch Corbyn, there will be a mass exodus to the Greens, and the replacement will be someone no better than Kendall, Yvette Cooper or Andy Burnham. Certain defeat. Final result now not due to be given till midnight! Maybe they shld’ve brought in some poll count clerks from Sunderland. Neil – that’s the very point! Foot, Kinnock & Miliband all gained seats a year into the job and then all still went on to lose the next General Election. Corbyn has managed to do worse than all of them. HH – I think the Tory lead/result was 22% ahead of Labour in 1977, but I’d have to dig out the stats. The Tories won almost every seat in Liverpool on the County Council so that gives you an idea of the lead that year. EcoWirral – I realise you’re an admirer, but what “personal qualities” of JC would these be? His oratory; age; past quotes; choice of Qs at PMQs; loss/permanent alienation of the Jewish vote from Bury to Eastwood? Even some of those on the far Left must realise anyone would be better than him. He’s principled, but that’s it. Either you deselect 90% of Labour MPs, or they’ll get rid of him in 2017/18. In fact in a contest would he even get the Nominations to be able to stand? Or have they changed the rules yet? LANCS OBSERVER – Principled is a start, but politics aside- he comes across as a normal person. A normal, honest person. Real people do have bad fashion sense, and can be scruffy. Real people do look like somebody’s dad/grandad. Even when he loses his rag, it’s with genuine passion, not a purple-faced tanttum from an out-of-touch elitist. His knowledge when asked questions is good enough that he can actually DEBATE issues. Wow! Admittedly, I wish he’d say more on the environment and electoral reform, but he is still a class act. I fear you’re right about him being ousted by the blairites, though. I should be pleased, as a Green Surge will follow, but I would actually like to see him as PM, because he’s the first person in ages with a chance to be who’s actually worth their salt! Thanks – 22% lead in 1977 does sound credible actually – perhaps 54% to 32%. Labour actually lose a list seat because of the gain in M&W. That means Murad Qureshi loses his seat. I wonder if he might end up contesting any Tooting by-election? Counts are unbelievably slow this year. In Liverpool it took them from 10.10pm to 5.10am just to declare the Mayoral result, after a 30% turnout! In London apparently it was all done electronically, but now the system has frozen. I got this one wrong, and HH was right. To be honest I don’t think it’s the counting that’s slow. I was a guest at a count this year and I reckon the first result was counted by half 12 which is unprecedented in my experience. It was the declaration that took ages. Sunderland always seem to manage to declare the first results by 11pm in both Locals and the General. I see no reason why a declaration should take more than seconds, after the disputed ballots are gone through. I can see why London chose an electronic count, but haven’t we had these glitches each time here? It’s extremely hard to get a good handle on what’s happening in London unless have lived & felt it almost daily for a long time. Being one of those people, London predictions are consistently my best. But the flip side is that my feeling for what’s happening elsewhere is often pants. I always especially rate your insight into what small town midlands is thinking, which many of us and the polls totally missed at the GE. I was not very close with my prediction of “54%-46% or 53%-47%” – but I wasn’t very far off either. My two bets of GOLDSMITH getting between 35-40% first preferences and a KHAN win at 4/5 were winners though. I think most of us assumed a lowish turnout of around 36% but it ended up nearly 46%. I predicted 37.5% & the bigger turnout must have helped KHAN a good deal. The weather probably was a factor. I believe that the weather in 2012, when turnout was 38.2%, was not great whereas on Thursday it was beautiful – sunny and warm. One has to congratulate the pollsters as they got it pretty much spot on. London is a difficult one. It is unashamedly pro business and that provides the Tories with a solid base. But there is a lot of peer pressure from virtue signalling lefties intermingled with it all over the place. This result really shouldn’t be a surprise at all – it’s basically the General Election result so is in fact a bit better than the English locals for the Tories. I don’t know how much difference weather makes. Weather was quite bad on the same day as the 1979 election I think but it was high poll. Probably usually a plus but not always. I thought turnout would be just under 40pc before polling day, and had some hope that the gap could be down to 6 or 7pc but not surprised by this. If you told me 8 months ago that Sadiq Khan was going to win this thing (and with such a commanding vote) I wouldn’t have believed you. Even if it is London. Really thought for ages that Tessa Jowell was Labour’s only hope in the city. And if not her, possibly David Lammy. Nice to see how sorely mistaken I was about Khan. How can someone who predicted 53:47 claim that they were not far out? Khan’s final vote share was 56.8%, so that’s 3.8 points adrift in his vote, or 7.6 points out in the margin of his victory, which was 13.6%. That’s further wide of the mark than the 3-point polling error in last year’s GE. I’m on the left of the Labour Party and I assure you that I have always been opposed to sexism and misogyny. I don’t care whether it’s the Muslim community or anyone else. It’s not acceptable. Having lived for 12 years in a substantially Muslim part of London (Ilford) I simply don’t recognise Peppermint tea’s depiction of London’s Muslims as anti-Semitic, and mysoginistic, although it’s clear that many are not keen on gay rights – as are a significant proportion of evangelical Christians. Besides which Khan’s role as Mayor is a strategic one for the future development of London, rather than making him solely responsible for changing attitudes among Muslims. – Zac’s campaign is taking lots of flak but the fact is that the first preference totals were virtually identical to the 2015 GE in London. So he couldn’t do what Boris did and buck the trend, but nor did he do any worse than Tories usually do in London. And he outperformed the national 3% CON-LAB swing since the GE. – Fundamentally I think Zac was just a weak candidate. To me it was quite clear from before he was even selected that he was no Boris (I said so on here, so this isn’t hindsight) but at the time many London Tories viewed him as the big hope to take on Boris’ mantle. He lacks charisma, any ability to think on his feet (just look at his cringeworthy answers when asked to name a Bollywood film and when put on the spot about London in the back of the cab by Norman Smith) and clearly hadn’t engaged much with London issues before his selection. Having said that, it is hard to see which other Tory might have been any better. – If Zac was to have a strength it may have been his ability to run as a virtual independent, perhaps focusing on the issues he feels passionately about like the environment. He didn’t really do that, his campaign in the end coming across as being controlled from CCHQ far more than Sadiq’s appeared to be controlled from Labour HQ. He didn’t really offer any reason for non-Tory voters to vote for him. – Lots has been made of the supposed racism of Zac’s campaign. I think this has to some extent been whipped up by Labour and probably had little or no effect on the result. But the line that Sadiq hung out with extremist at some point in the past, therefore he’s dangerous, had the severe disadvantage of being patently nonsense. The public are clever enough to see through that kind of thing. – Sadiq may have benefited from Corbyn’s election in the end, because it afforded him more distance from the Labour leadership than would have been the case if a moderate had won. – Sadiq ran a model campaign really. Wooed the membership by nominating Corbyn and rebelling on the Welfare Reform and Work Bill to get selection; shifted to the centre after being selected with pro-business articles in the Standard and City AM; hardly slipped up from then on, coming across really well in interview. He probably didn’t win over many who didn’t vote Labour in 2015, but he didn’t need to. – It is a long way back for the Tories in London now. 2020 will be virtually impossible to win, being held on the same day as a GE and with a Labour incumbent, and it is quite possible that by 2024 further demographic change will have made winning London even harder. I just wish that Ed Miliband’s 2015 campaign had been as well run at Khan’s. If a lesson is to be learnt from this campaign, it is that smear tactics only work if they amplify doubts that already exist in the minds of the electorate. You can’t make up anything you like and expect it to stick. Tooting will be an interesting By-election. Khan’s said he’ll stand down as an MP as soon as possible. If Labour wins the SNP will be very influential worked because it was true. Sadiq’s dangerous, Labour will get rid of the pound (Hague, 2001) and the Tories will kill off the NHS (Kinnock, 1992/ Miliband, 2015) all failed because they were clearly untrue. The Tories will try hard – not very far to travel for people based at Westminster to campaign, plus they are quite strong locally – but so will Labour, who will probably be able to call on a colossal number of activists for a London by-election. 23rd June could be a tad risky, though Tooting is a strong Remain area so if Labour receive a backlash for being too pro-EU it probably won’t be felt there. Given that the Tories have declined in the polls since 2015, it is difficult to see them winning this by-election. The Goldsmith toxification of the Tories in London would just be the coup de grâce, let alone the problems that the Tories are causing themselves with academisation and junior doctors. Having said that, anything is possible in the current crazy world of politics. And that’s how Ed Miliband was rejected. If he was electable he would’ve probably been able to manage any smear tactics thrown his way. He was ill prepared for it all and he walked into a lot of traps. The Ed Stone, his grilling on that QT special about Labour spending, Cameron waving the Liam Byrne note, and to a lesser extent the bacon sarnie picture on a tabloid front page. I think the Parties agreed the Referendum would not be held on the same day as any other elections. Quite apart from we wouldn’t want to delay a close UK-wide result ‘cos of Tooting. But you should remember that the one pollster (YouGov) which did polls for Greater London in the lead-up to the 2015GE also got it ‘pretty much spot on’ – in contrast to what happened in the GB-wide polls. And the last mayoral election in 2012 was a very rare case where the polls exaggerated the lead of the Tory candidate over Labour. London just doesn’t have the same history of polling errors overstating Labour at the expense of the Tories as other parts of England. We know form the post 2015 General Election enquiry that in other parts of Britain there were the ‘hard to reach’ voters who voted Conservative in 2015. I have a theory that London may have a roughly equal number of Labour voters – probably from ethnic minorities – who are similarly ‘unresponsive’ to pollsters but nevertheless turn out and vote. Is it the case that young people increasingly have relinquished a landline & thus there’s a bias to older voters (who are more likely to vote Tory? And this phenomenom is slightly more pronounced in London. Three quarters of the polls are online rather than by phone. Besides, the polling anomaly I was seeking to address was that the over-estimation of Labour (and underestimation of the Conservatives) seen elsewhere in GB appears not to apply in London. So whatever causes this elsewhere is either absent in London, or equalled out by some other factor which reduces the Labour VI in London polls.